For this show, I choose to focus my attentions on algae. 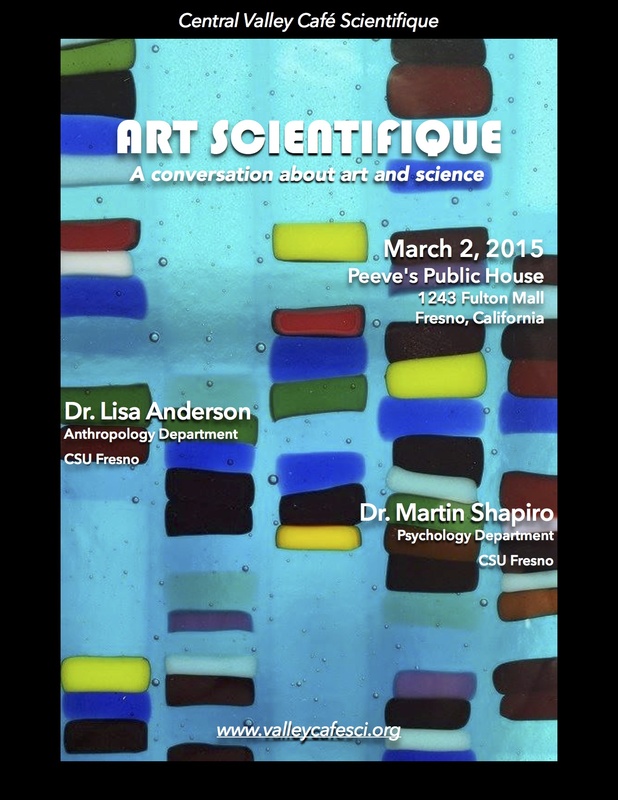 They are a diverse group of mostly microscopic organisms that hold a particular fascination for me. 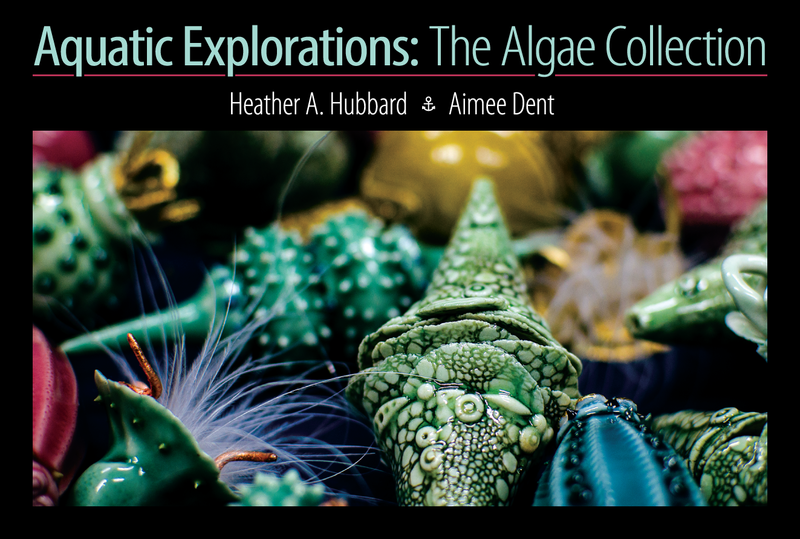 I did not really become familiar with the algae world until I began working on my Master’s degree in Biology. This was, as I’m sure graduate school is for many, an extremely stressful time in my life. Along with managing the pressures of a graduate program, it was also a time of learning some of life’s more difficult lessons. To say these were challenging years would be a tremendous understatement. But it was not all darkness and doom. It was also during this time that I had my first opportunity to explore nature’s more obscure realms. Looking through the microscope lens, I was introduced to a world that seemed both mysterious and magical. I found algae cells particularly charming and whimsical, and their diversity and abundance overwhelmed me. I looked forward to searching through water samples and learning about their lives. I even dreamt about them! During a time of great turmoil, plankton brought joy into my world and kept my curiosity for nature alive. For that, I will always be grateful and I have had an affection for them ever since. This entry was posted in News on October 14, 2014 by Heather Hubbard. The fun ain’t over yet! Just wanted to make sure everyone knows the show will be up nearly all month long, until October 26th. This entry was posted in News on October 7, 2014 by Heather Hubbard. 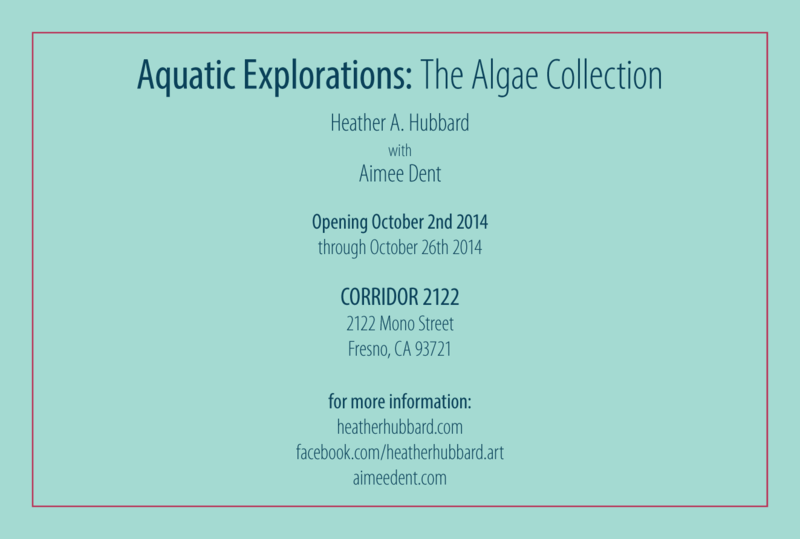 Great article about Corridor 2122 by Donald Munro at the Fresno Bee! 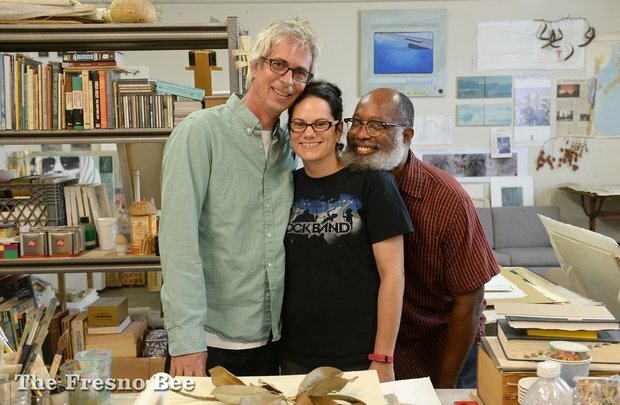 Founding members of the Corridor 2122 art studio and gallery are left to right, Stephen and Aimee Dent, and William Raines. This entry was posted in News on September 1, 2014 by Heather Hubbard.